The temperature may be cool outside, but boating safety advocates urge boaters to enroll in a boating education course. Spring Aboard – Take A Boating Education Course campaign encourages boaters to get educated prior to the kick-off of the boating season. Many education providers offer discounts or other incentives for students during the week of March 18-24, 2018 to enroll in a boating education course. 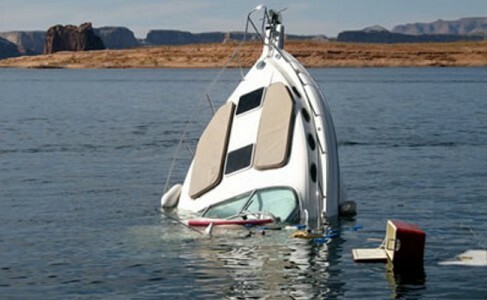 U.S. Coast Guard statistics indicate that of the accidents where the level of operator education was known, 77% of boating deaths occurred on boats where the boat operator had never received boating education instruction. Persons interested in a Montana boat education course can request a home-study course, take a course on-line, or attend a classroom course offered by the US Coast Guard Auxiliary. Montana law requires youngsters ages 13 and 14 who plan to operate a motorboat, jet ski or other personal watercraft with 10 horsepower motor or more to have a valid motorboat operator’s safety certificate or be accompanied by someone 18 years of age or older. Montana is one of forty-nine (49) states and U.S. territories that require proof of completion of a boating education course for operators of some powered vessels. For a summary of Montana’s regulations and available courses, visit: fwp.mt.gov. The annual Spring Aboard campaign is led by the National Association of State Boating Law Administrators and produced under a grant administered by the U.S. Coast Guard, and it is supported by state, federal and nonprofit partners. It is open to participation by all states, territories, boating education organizations, instructors, and course providers. For more information, visit www.springaboard.org. This article is from a news release by the Montana FWP at www.fwp.mt.gov .